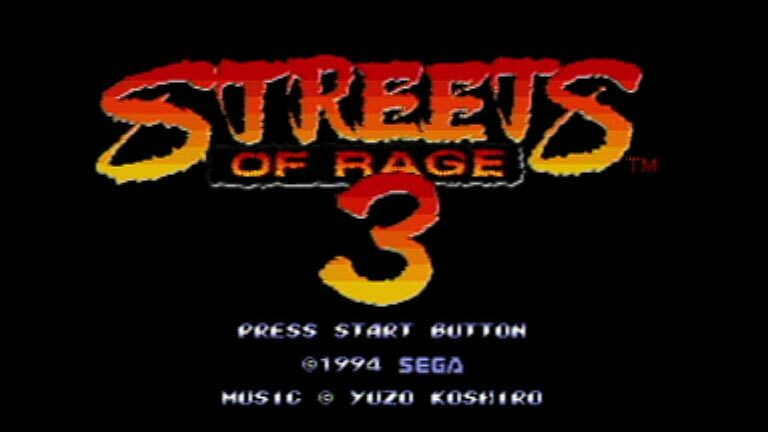 Streets of Rage 3 is an action beat’em up inspired by arcade titles like Final Fight, Teenage Mutant Ninja Turtles, and Ninja Gaiden. 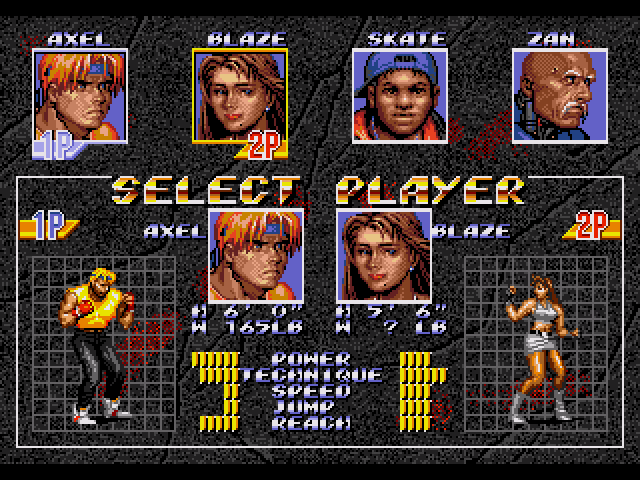 It is the third and currently the final game in the Streets of Rage series. The Syndicate and Mr. X have been defeated twice. Each time they start their crime wave a group of vigilantes lead by Axel Stone, Blaze Fielding and Adam Hunter all former and or current cops stop them. But, a new threat rises as the Syndicate is secretly behind a new research company call RoboCy. Dr. Zan a man that is himself partially enhanced with robotic parts discovers that RoboCy is trying to replace government and high powered officials with life like robots that look exactly human beings. He contacts Blaze and she assembles the team but Adam is nowhere to be found not everybody trust this Dr. Zan and his information or intentions. Streets of Rage 3 really finally tunes the combat. The controls are much faster and the action is a lot smoother. You have no problem getting into a position to hit somebody but there are several enemies that are always bouncing around and they are pointlessly difficult to land a punch on. The same character traits return, Axel and Blaze are balanced out with speed and power while Skate is the fastest and new comer Dr. Zan who is part robot is the powerhouse of the group. We did prefer playing in co-op mode. Streets of Rage 3 is very difficult. There are seven stages in all but if you play the game on is easiest setting the game ends on stage 5 and you get one of the bad endings. Co-op mode also matters because you are doing more than just fighting people, you are also get attacked by robots and even giant factor robot arms. All of these new factors make it much harder to get through the whole game by yourself in single player. 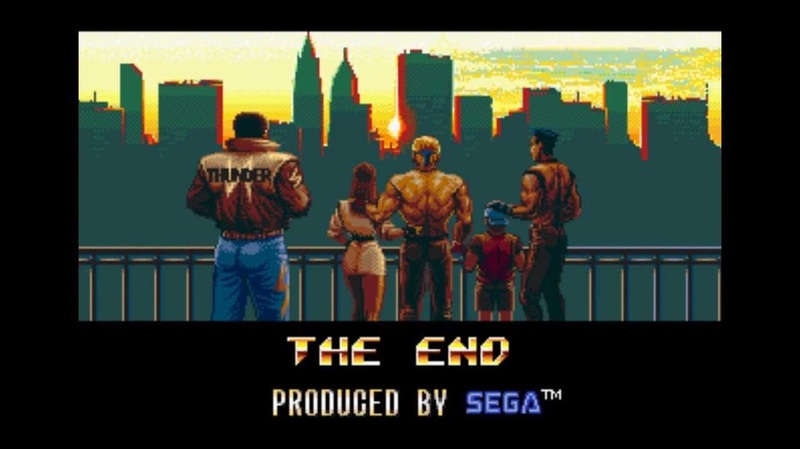 Streets of Rage 3 will take you around two hours to get through each and every time you play from beginning to end. That is longer in game length or just as long as the first two Streets of Rage games combined and the replay value is pretty high but only in co-op mode. In single player you may not like it as much or be able to beat the game. Streets of Rage 3 can be found on the Sonic's Ultimate Genesis Collection for the Xbox 360 and PlayStation 3. There is also a Sega Streets of Rage Collection downloadable from Xbox Arcade. PC Gamers can find it on Steam and other places also. Streets of Rage 3 is worth $3.00 dollars and under for. If you find a sale under $1.00 it is a MUST BUY PRICE!